The importance of the wardrobe in the house can make anyone can’t buy it. Each cupboard has its own function so you have to know one by one. 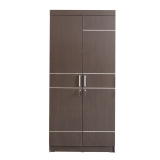 Cabinets sold on the market also have different types of doors. This door needs to be considered for those who have a narrow room so that the closet can be opened perfectly. Usually the most popular wardrobe on the market uses a standard door that is opened by pulling it. Cabinets of this type require quite a lot of space. Because if you put it in a narrow room, the door may not open perfectly. If you want to buy a closet with a door design like this, pay attention to the room first. If there are no problems greeting opening and closing, continue. However, if the room is very narrow, it’s better to use a cupboard with the next type of door. The design of the CLS 201 2P wardrobe from Lunar Furniture might be a solution for you. Designed with a minimalist and simple, we can easily place it in narrow spaces. Of course this wardrobe is the solution for those of you who have a room that is full of various other furniture. Call 021 54376 555/333 or click www.lunarfurniture.com for more information.